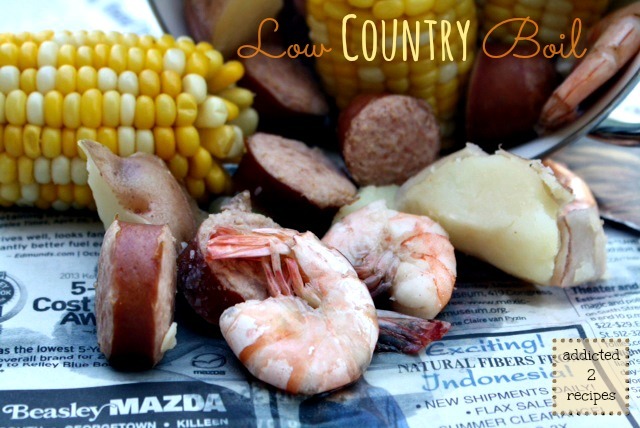 During my trip to Savannah in 2010 I had low country boil a couple of times and loved it. There are four basic ingredients but everyone seems to put their own brand of seasoning in the dish. That trip to Georgia introduced me to several new dishes and will always be a trip with fond memories. You can check out my pictures from the trip here. It may entice you to go to Georgia if you’ve never been. Having had this simple, yet tasty dish, of course this meant that as soon as I got home I couldn’t wait to try it. This is a basic recipe that everyone seems to use but I found it in a Paula Deen cookbook at her restaurant, The Lady & Sons. 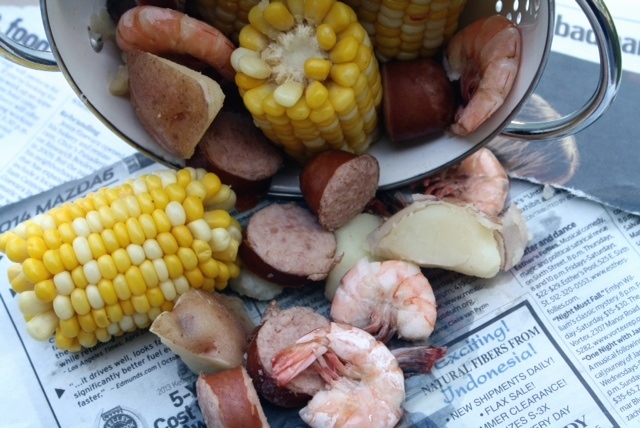 I remade it last night because it’s Summer and I was in the mood for potatoes and corn. The family loved it, including my nephew Jacob who has become my biggest fan. He even asked for seconds. Using a large soup pot, fill it with enough water to cover all of the ingredients and bring to a boil. Add the Old Bay seasoning and stir. Drop in potatoes and sausage. Reduce heat to medium heat and cook for 15 minutes. Add corn, cover and cook for an additional 10 minutes. Drop in shrimp and cook for 3 minutes. Drain the pot and serve. Traditionally this is served on newspapers.